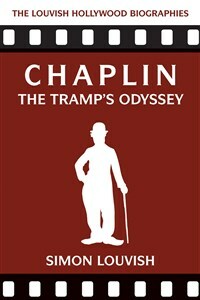 An essential volume for understanding Chaplin’s body of work. An Everyman who expressed the defiant spirit of freedom, Charlie Chaplin was first lauded and later reviled in the America that made him Hollywood’s richest man. He was a figure of multiple paradoxes. Simon Louvish’s book looks afresh at the “mask behind the man.” Louvish charts the tale of the Tramp himself through his films, from the early Mack Sennett shorts through the major features (The Gold Rush, City Lights, Modern Times, The Great Dictator, et al.). He retrieves Chaplin as the iconic London street kid who carried the “surreal” antics of early British music hall triumphantly onto the Hollywood screen. Louvish also looks anew at Chaplin’s and the Tramp’s social and political ideas—the challenge to fascism, defiance of the McCarthyite witch hunts, eventual “exile,” and last mature disguises as the serial killer Monsieur Verdoux and the dying English clown Calvero in Limelight. This book is an epic journey, summing up the roots of comedy and its appeal to audiences everywhere, who reveled in the clown’s raw energy, his ceaseless struggle against adversity, and his capacity to represent our own fears, foibles, dreams, inner demons and hopes.